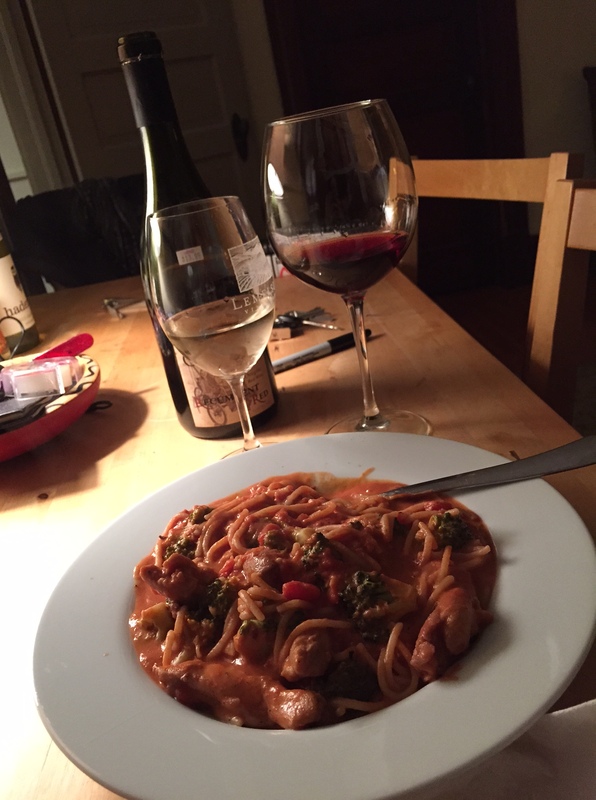 Rogue Valley | the wine snob. CONFESSION: I’ve had this wine in my possession for way too long. 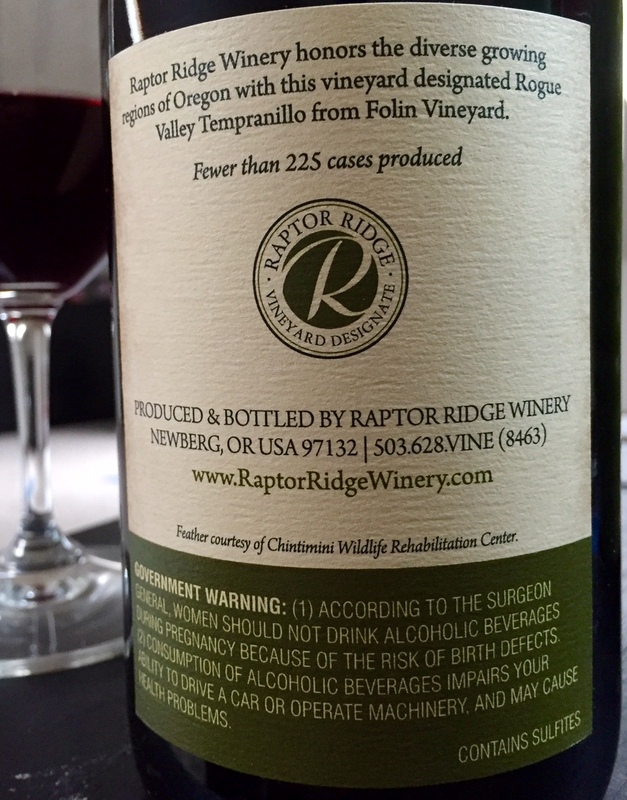 Confession number two: I’ve had numerous wines from Raptor Ridge this Summer that all deserved their own post, but I really don’t know where the time has gone. So I’m seizing this rainy and strangely windy Saturday to catch you up on one of my favorite wineries in the area! 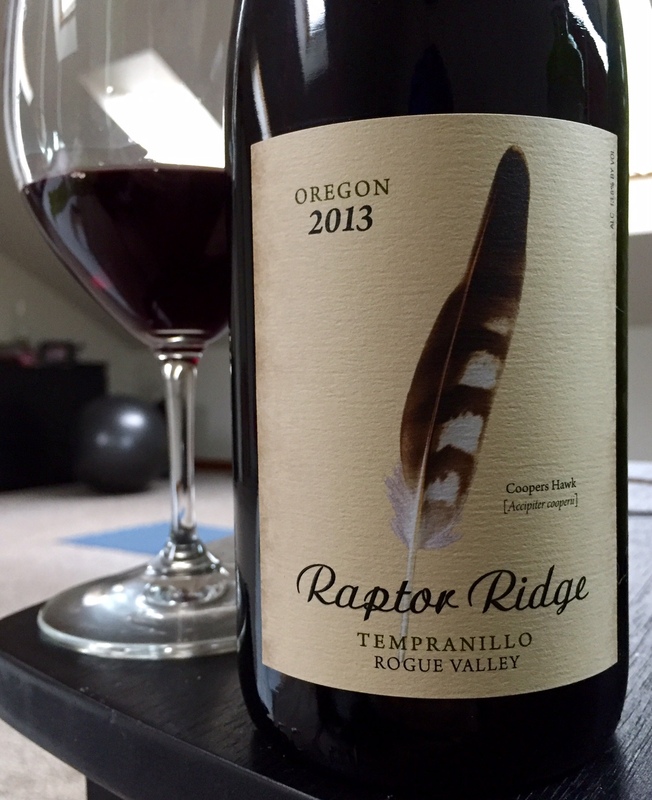 Oregon Tempranillo: not as rare as you might imagine. We’ll start the party with the post’s namesake, the 2013 Tempranillo. This is just the third year RR has made a Tempranillo, and it sits at right around 200 cases made. Tempranillo seems to enjoy the hotter climate of Southern Oregon; the Folin Vineyards are also planted with Syrah, Petite Sirah, Mourvédre and Grenache- more varieties that bask in the heat. Heat is evident in this wine, as its nose is big, dark and smokey. Blackberry liqueur, raspberry preserves, briar patch, hints of woodsy/evergreen/fresh sap, along with traditional Tempranillo characteristics: tobacco, leather, savory herbs, and a nice bright streak of tart red fruit to carry it along. Raptor Ridge suggests mole as a pairing, and now that is all I can think of. Or maybe something char-grilled, with a spicy BBQ rub. Ribs?! Oh, indeed. In short: a super fun “unusual” varietal perfect for Fall! Fall is a little erratic here, it almost reminds me of South Carolina. It cooled off quickly in September, but its thrown more than a few 80 degree days our way right up until last week. This is Estate fruit from their site on the Chehalem Mountains, which tickles me. Again, not much more than 200 cases made and this little guy sings with clean minerality, slate, fresh flowers and a really nice acidic balance. 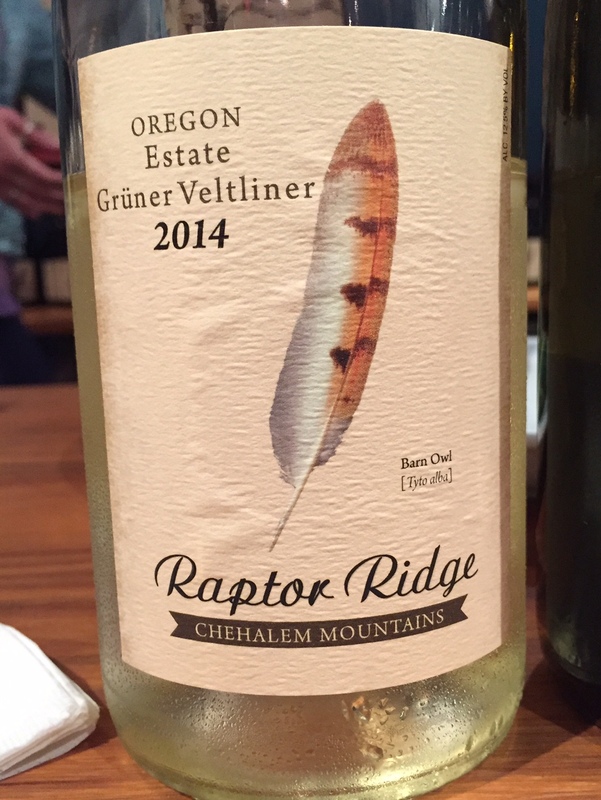 The Raptor Ridge 2014 Pinot Gris was probably my favorite Gris of the year. Gris takes some flack out here for being boring, I’ve noticed. Maybe it doesn’t have the most personality of any white grape out there, but the bottom line is: when you find one that hits the nail on the head in terms of value & quality, AND offers the delicious clean, fresh palate that it should.. well, anyone who’s worked in retail or a restaurant knows: they’re money-makers. People love them, they’re versatile and friendly. Long story short, the Raptor Ridge is a winner for all those reasons. I’m scouring my phone for a picture of the view at the winery but I’m shocked to discover I don’t have one! That means I have to go back soon and get one. Hands down, best view in the valley- and we all know there’s some stiff competition there. Go check these guys out! 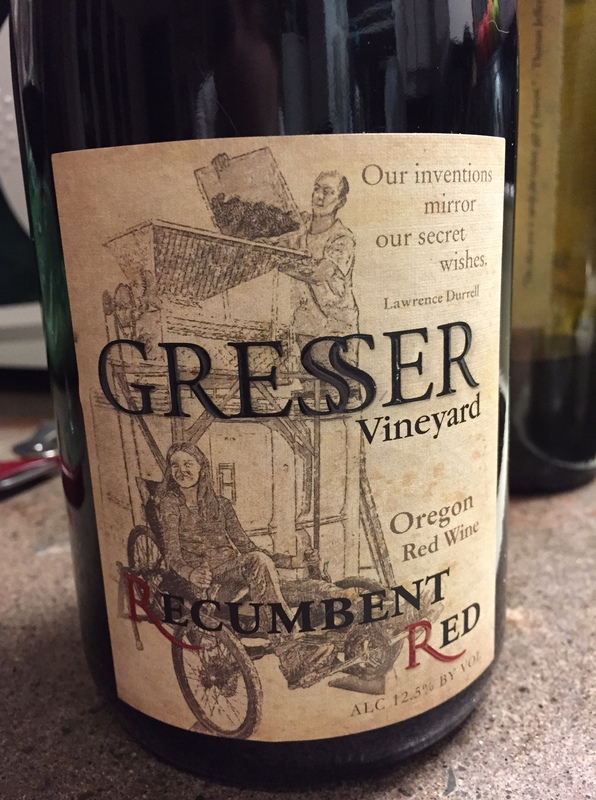 Thirty Oregon Wines in Thirty Days: Day 7! I’m a little new to the world of actually purchasing wine as a consumer. Since I spent so long as a GM/wine buyer, I just never had need to buy wine. It just came to me. There were always open bottles that I could sip on while I finished paperwork, or a sample bottle here and there. And when I did buy wine, it was at a steep “Ricky discount”. Those were wildly varied, but always extremely acceptable. So I am sort of enjoying attacking the retail shelves, armed only with my existing knowledge, a desired budget, and whatever kind of mood I’m in. Initially, I thought this wine fell a little short; I think was because for some reason I had it in my head that since it was a Pinot/Syrah blend (remember, the rule is Pinot Noir can be included in my project if its blended), it would be a touch denser. On the contrary, it drinks like a Pinot Noir (go figure). But the Syrah notes I get are actually a nice little addition to the wines overall palate. The nose is overtaken by sour cherry, rhubarb, pomegranate, potpourri and dried herbs. The finish is where you pick up on some violet and white pepper additions, and a bit of a fleshed out texture- hey, Syrah! Maybe a slight hint of cured meat. It sits at 77% Pinot Noir from their estate vineyard in the Chehalem Mountains, and 23% Syrah from the Rogue Valley in Southern Oregon. Just 465 cases were made. Going back to my prior incarnation as a buyer, if this wine were poured for me from a distributor and the wholesale price is what I can guess it to be (I’ll keep that a secret), I would definitely consider it as a glass pour. Especially if it were late summer/early fall; it would really fit the bill of unusual lighter reds, which we used to do very well with that time of year in SC. Plus it has good retail shelf presence, in my opinion. Good enough to get ME to buy it, at least! And I’m kind of a tough critic. One more note about NV wines- I’m sort of a fan. Don’t be dissuaded. This included, there are some really great NV wines (still, rather than sparkling) out there that suffer a bit of an image problem. The Sokol Blosser Evolution wines are always non-vintage, and I think it helps them stay consistent from year to year. I won’t get all wordy on this subject, but just wanted to throw it out there that Non Vintage doesn’t equal total junk, as can be the perception. I threw a wad of cream cheese in my tomato sauce tonight. It was kinda boss. This winery is super small and family owned; the prices on all their wines are pretty competitive and I’d be curious to try more of their juice. Especially the Riesling. Overall this was a fun learning experience and I actually do really enjoy the wine selection at Roth’s. Cheers to Day 7! This wine was $13.99, in case you missed that earlier. Here’s a preview: I’m going to combine days 8, 9 & 10 into one post and it will be called Chardonnay Party. I know I said I couldn’t repeat varietals more than once, but I have one I’ve been saving that I really want to open and I can’t resist. There may also be crab involved. It’ll be good, I promise. It’ll most likely go up on Saturday. Can you handle the suspense?! 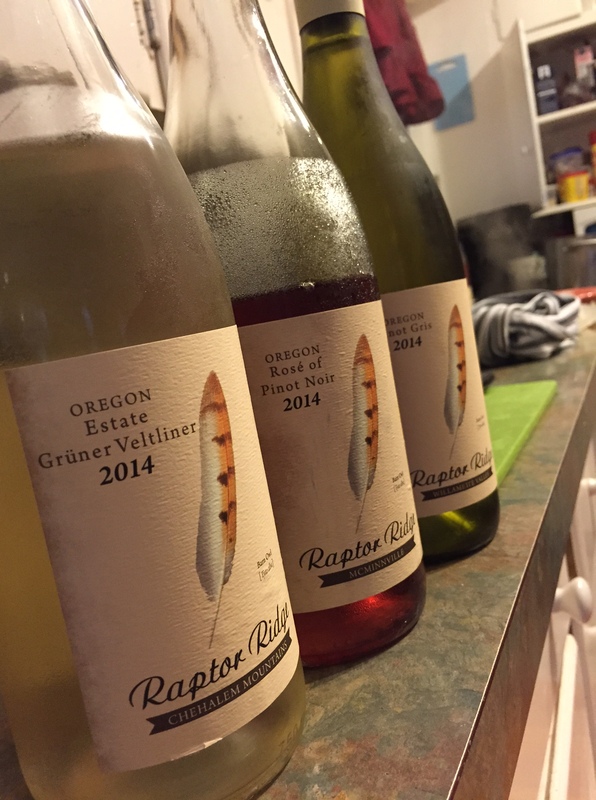 Thirty Oregon Wines in Thirty Days: Day 4- we goin’ South! Well, not toooo far south, we’re still in Oregon. But today we’re going to the Applegate Valley! This wine is my first trip there. I intend to go back. Both physically and in wine form. Why? 1.) the actual place is only about 4 hours from here, and 2.) the Troon Vineyard Carlton Tasting Room is literally up the street. I went by there on a whim this past Friday and was really glad I did. 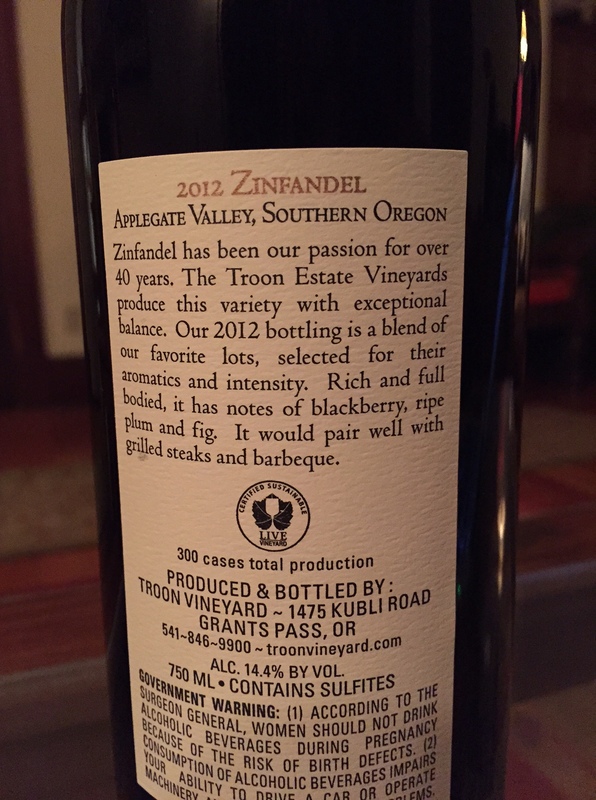 So, given that this part of Oregon is not really all that far from California, I suppose it shouldn’t have come as such a surprise to me that there’s Zin down there. But this little secret hasn’t made it to the East Coast yet, because I had no idea. 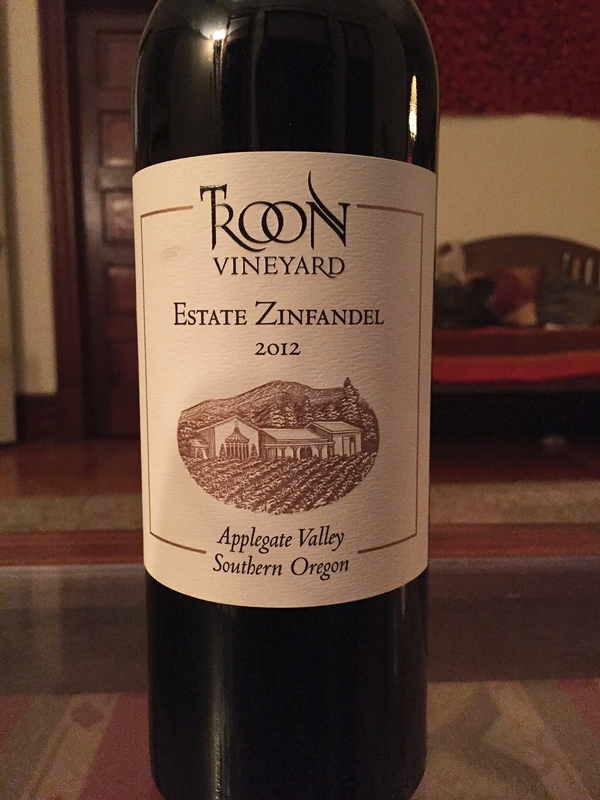 The Applegate Valley, as it turns out, is contained entirely within the Rogue Valley AVA. In the same way that the Ribbon Ridge Ava is contained within Chehalem Mountains AVA. Maybe that didn’t require an explanation, but there you have it. It is much hotter there than in the Willamette Valley, the tasting room manager, Meg, was telling me. Last summer, when Willamette was averaging around 90 degrees for a duration, it was 100+ in the Applegate Valley. Which makes it even more sensible that Zin would like to grow there, as Zin loves heat. There is also less rainfall, and I’m pretty sure Zin likes it dry, too. Allow me to preface these tasting notes by saying that I had somewhat low expectations of this wine. First, because Zin isn’t typically a grape I gravitate towards. And second, because I still don’t have a ton of experience with this part of Oregon. The Umpqua and Rogue Valley wines that reached me in South Carolina never stuck out as favorites. I recall one Gewürztrainer from Brandborg and the Umpqua Valley that I loved, but that’s about it. So, given my expectations being set low, maybe it was destined that I be impressed with this wine. But lemee tellya- I really like this wine. 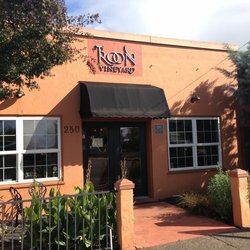 I actually had to apologize to the tasting room manager, because I felt like my utter surprise could potentially have been construed as having previously thought their wines were crap (again, not true, as that day was my maiden voyage with Troon wines). So why don’t I love Zin, usually? I dunno. It’s just not my jam. I don’t love high alcohol-fruit bombs, I generally have more of an affinity for white wine in general, there’s so many California Zins that are unbearably average and some that are downright terrible, if we’re being honest. So then along comes this wine and really makes me wonder. Which I love! I love being made to think. So thank you, Troon Zin. And before you get defensive, California, I KNOW there are good ones out there and I DO like them. Heck, every 2012 Turley Zin I had last year blew me away. Just sayin’- I don’t flock to them. I can walk here! Be jealous. Plus the Carlton Bakery is across the street. Nom. EGADS, I’m getting wordy again. Lets get to it: this wine has no shortage of ripeness. Raspberry jam, blackberry pie, some leaner rhubarb-y accents, macerated cherries and dried cranberry. It lingers with a nice warmth and pleasant cinnamon, vanilla, clove, a touch of mocha, and a brambly undertone. At 14.4% alcohol, its not flabby in the least. Its worth noting that this wine just got 88 points from Wine Enthusiast. Props to the tasting room for not flaunting that- I like to reach my own conclusions. I like an 88 point rating, personally. Its solid evidence that a wine is good, but unlike a 90+ rating, you don’t have to see it plastered all over press materials for the next year. 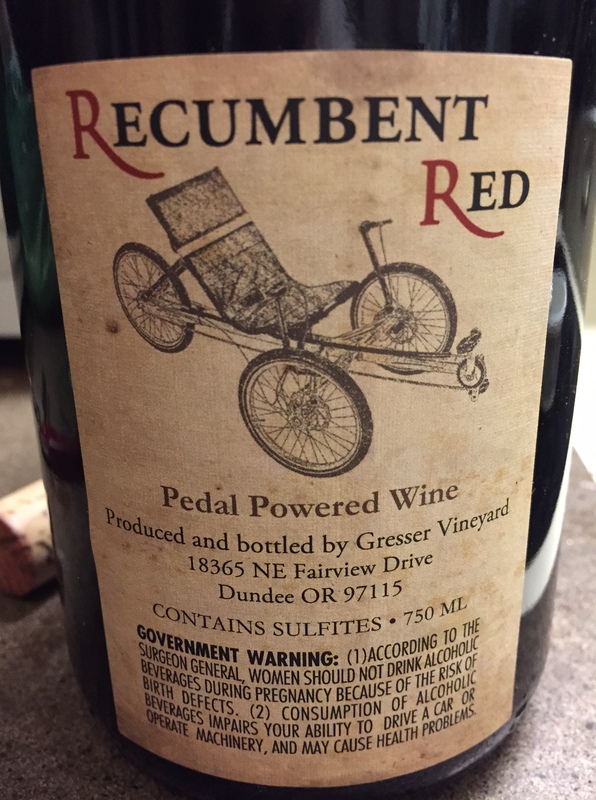 If I was gonna build someone a case of truly unique wine from Oregon, this would be one of ’em. This concludes Day 4! This wine was purchased at the Troon Carlton Tasting Room in Carlton for $29.